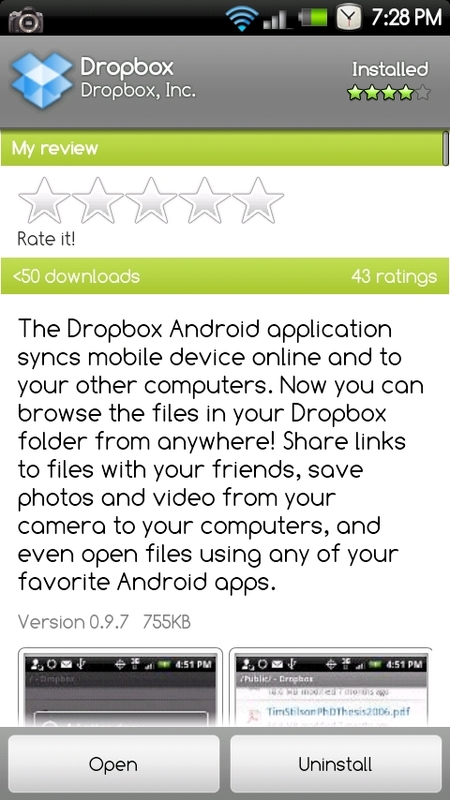 The Android Dropbox app finally launched today for free! Yay! 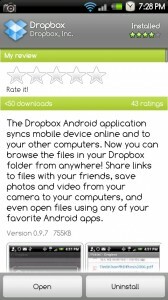 You can now access all of your Dropbox folders while on the go, share files, and even upload new stuff. I’ve only had a chance to do a quick run-through and so far the app works flawlessly. They’ve also announced a group of “partner apps” to enhance your experience. Nice work team.